Wilkes-Barre/Scranton International airport. You’re familiar with it, aren’t you? It’s the airport that spans the border between Luzerne and Lackawanna counties in northeast Pennsylvania. Thank you, God, for all of my blessings. Never will I let go of your love and my trust in you. 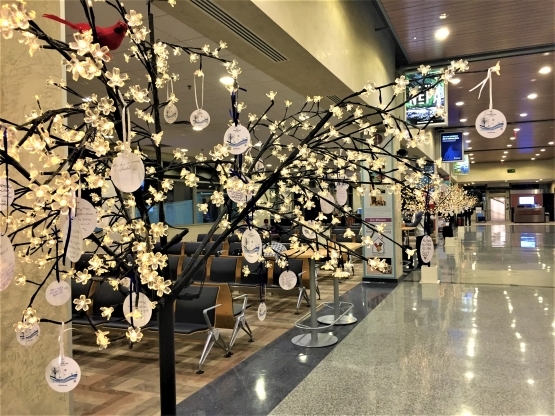 May your “Wishing Tree” be bright with the light of this kind of love—all year long!